One of the most important things about learning English (or any language) is to be consistent. The more frequently you have contact with English, the quicker you will learn. To help you keep in touch with English every day, we have created this blog as a part of this website to help you improve your English. NOTE: We will not been publishing articles as frequently as mentioned below as we are currently using a lot of the material we create for a new online course which should be ready by the end of 2017. Common Proverbs in English as well as famous quotes to inspire you and to learn from. These are the typical mistakes students make when they are learning English, how to avoid them and why. Funny jokes in English, cartoons and things that will make you laugh as you learn English. Of course we will try to explain why it is funny. There are many idiomatic expressions in English. Here we will help you learn these idioms by adding a new one every week with an explanation of what it means including examples of it. We will also include some phrasal verbs. Anything can happen on Friday including short Stories, articles and texts to read in English as well as the occasional surprise. They contain a lot of vocabulary to help you learn the language and every now and then we will also write about tips that will help you learn English. So we hope that these will help you keep in touch with English every day. Remember you can also follow our English Word of the Day on Twitter. 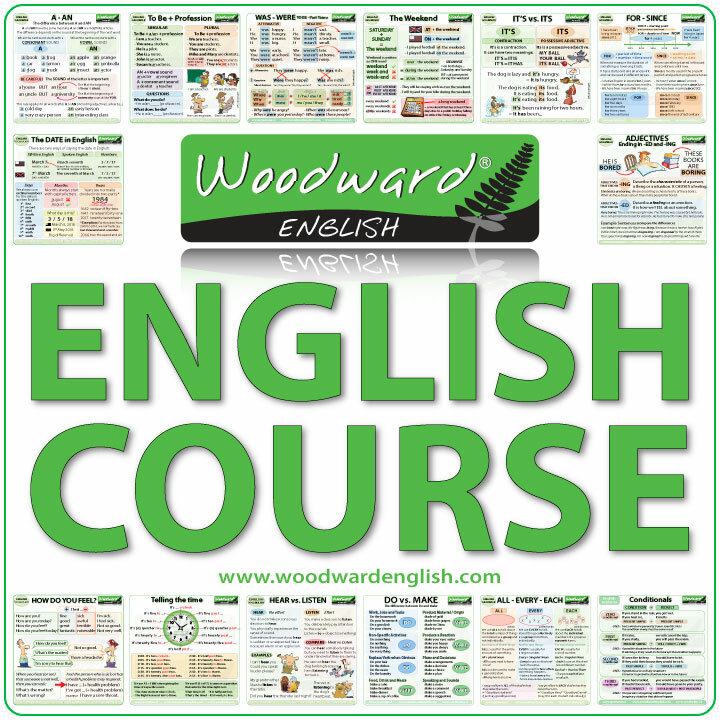 ← Welcome to Woodward English! That is great ,i’m so glad to use this website ,because i can improve my english vocabulary skills. Thanks Riga. It is good how you have been practicing your English by leaving comments because the best way to learn a language is by USING it.